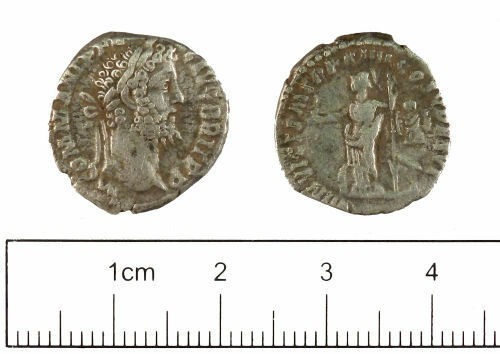 A silver denarius of Commodus dating to the period AD 189 (Reece Period 9). MIN VICT P M TR P XIIII COS V DES VI reverse type depicting Minerva standing left holding Victory and spear, to left; shield, to right; trophy. Mint of Rome.